Fly Braces stop Cee sections twisting – A Fly Brace is a strap, angle or bar that runs from the flange of a rafter, main column or end wall column to a roof or wall purlin/batten and therefore restrains the section laterally. Essentially they prevent a column or rafter from twisting or rotating when under load and are essential to ensure structural rigidity and performance. 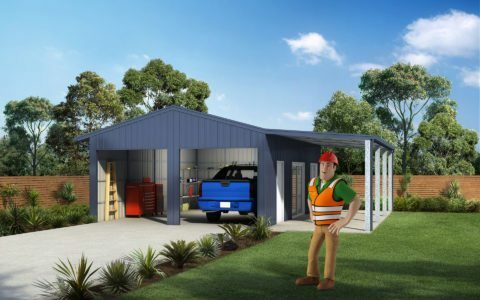 All our bracketry is locally manufactured and are fully folded and seam welded using genuine BlueScope steel G450 grade high tensile material for added structural integrity. This ensures our connections are industry leading and have been tested by independent engineers.